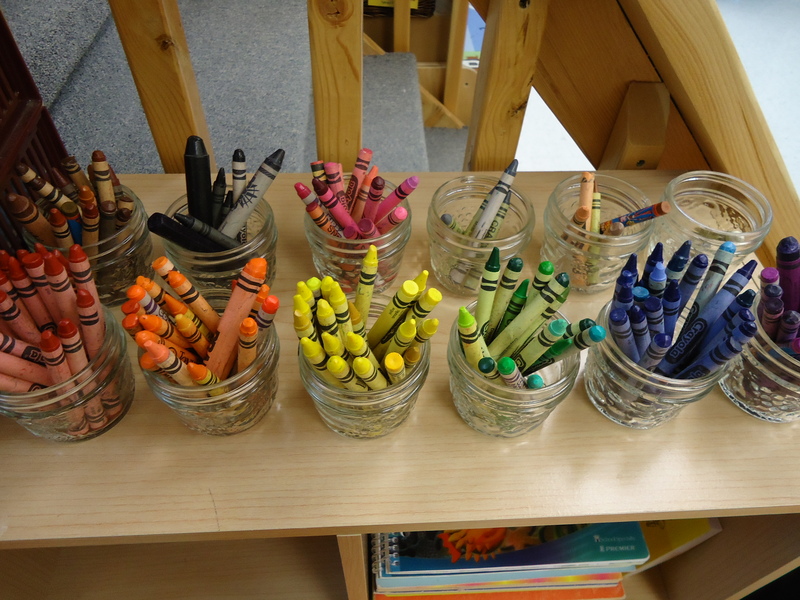 Here are just a few more organizational ideas I stole from my ECS 100 Field Placement in Pre-K.
All of these tubs have pictures of their contents and written labels (which allows the words for objects to be more easily recognized by students). This allows you to choose the tub you need in seconds, rather than hunting for a glue stick. 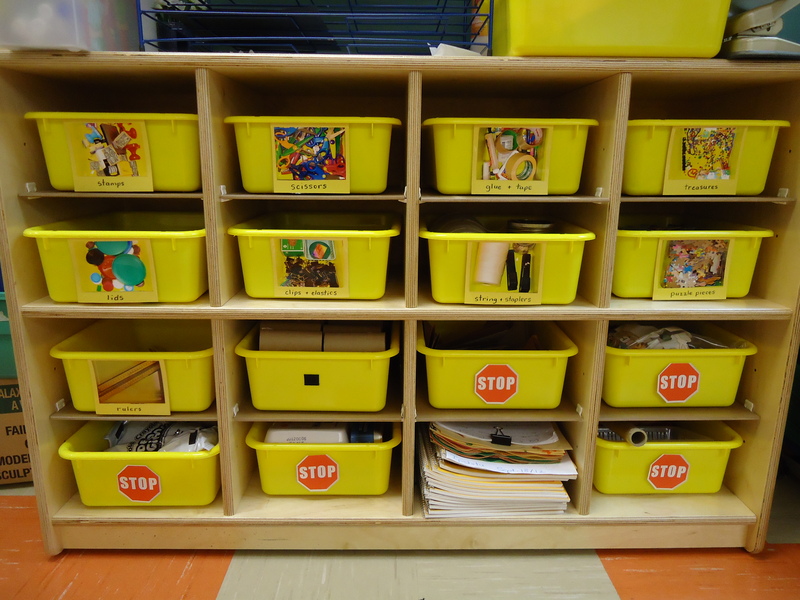 The tubs labelled “STOP” are for the teacher’s use only.